Some people want simple scales to measure body weight. Others want BMI, muscle mass, and body water percentage — the whole kit and caboodle. If smart scales are your game, go for our number one winner, the Fitbit Aria 2. If you want something more straightforward, take a look at our winners for the best digital scale and best analog scale. No matter what you’re looking for, we’ve got something for everyone on our ranking of the best bathroom scales. Gone are the days when scales simply told you how many pounds you’d packed on over the holiday season. 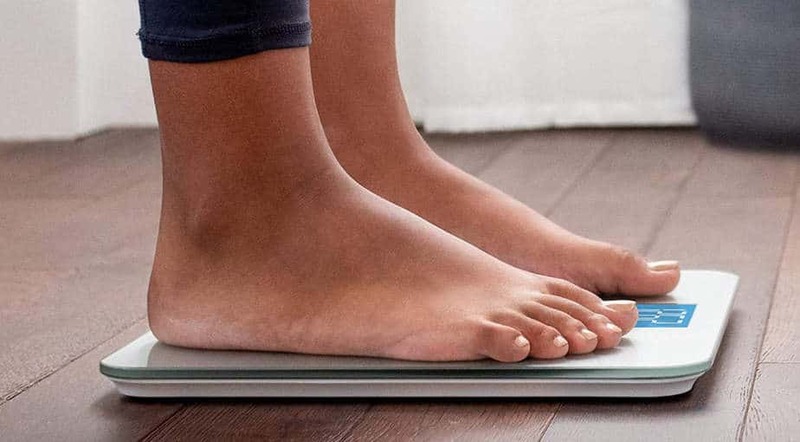 Now, you’ve got smart scales that can track a vast range of body metrics and chart them in a connected app. 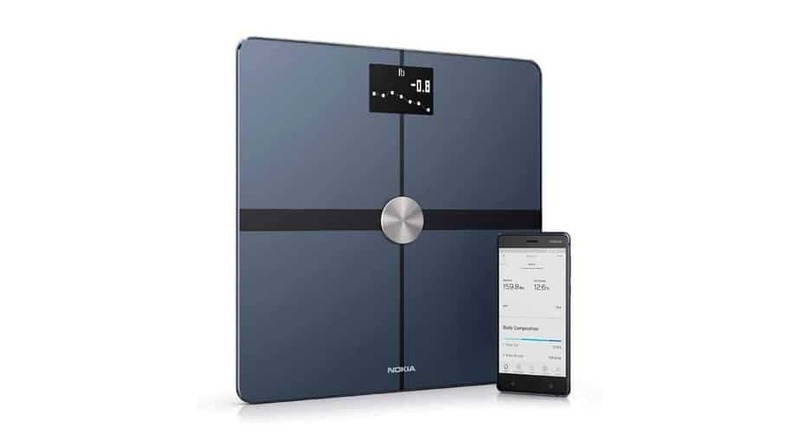 Or, if you like to keep it simple, there’s the middle-ground digital scales that offer less functionality than smart scales, but provide greater accuracy than their analog counterparts. Whatever you’re after, we’ve got a list of the best bathroom scales, broken down into 3 categories. We’ve picked a mix of the best 10 scales available right now, including analog, digital, and smart varieties. All of our selections are high-quality, reliable, and affordably priced. This ranking was put together using real customer reviews and collated rankings from authority websites. As a result, the winning products have been picked out as the best-in-class by professionals and everyday users alike. Read on to find out which are the best bathroom scales that money can buy. From old-school analog to cutting-edge digital, here are our picks for the best scales. With support for up to 8 people, the Fitbit Aria 2 synchronizes directly with your Fitbit account. It’s the perfect addition to your smart home setup. Etekcity has created an attractive set of digital scales, with a clean, simplistic design that won’t look out of place in any bathroom. Auto-calibration ensures there’ll be no mistakes when weighing in each morning. If smart integration isn’t among your concerns, then look no further than analog scales. With its oversized, easy-to-read dial, this scale gets top marks in the analog category. Your body weight can only tell you so much. It shouldn’t be the only measure of your fitness level. That said, when you’re eating a balanced diet and exercising regularly to get healthy, tracking your weight loss can provide great motivation to stick with it. For the purpose of this ranking, we’re calling an analog scale one that uses a dial and needle. Digital scales can be any scale that uses power to display weight or other readings on a digital LCD. But for our list, we’re splitting up digital and smart, with smart scales connecting to a mobile application. If you’ve taken a trip to the doctor’s office, then you’ve probably seen the traditional, bulky analog scales of old. Devoid of any electronics or power, they use a series of springs, levers, and plates to provide a measurement. They’re solid and reliable, but they’ve been largely superseded by newer technology. In most cases, digital scales can do everything that analog scales can do, often more accurately and efficiently. 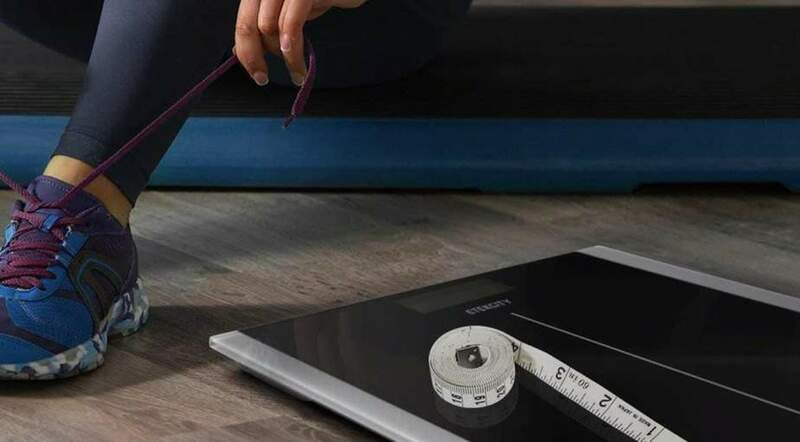 Smart scales are another step up from digital — in addition to being electronic, they boast Wi-Fi or Bluetooth connectivity and device integration. In a world that’s increasingly connected, it’s another device for your smart setup — but it’s not for everyone. If you opt for a smart scale, you’ll be choosing something that can send data to your smartphone. In the most basic cases, this will be a custom-built application that comes directly from the scale manufacturer. But for premium scales from big brands, you can expect third-party app compatibility and even online communities or forums. You may have a preferred type of scale, but you should be aware of one important point: Smart scales that use a body fat analyzer shouldn’t be used by certain groups of people. If you have a pacemaker or if you’re pregnant, you should avoid these scales. To measure your body fat percentage, certain scales send a minor electrical current throughout your body. It travels more rapidly through muscle and more slowly through fat, which is what allows the scale to give a reading. But this electrical current can be harmful for the groups of people mentioned above. 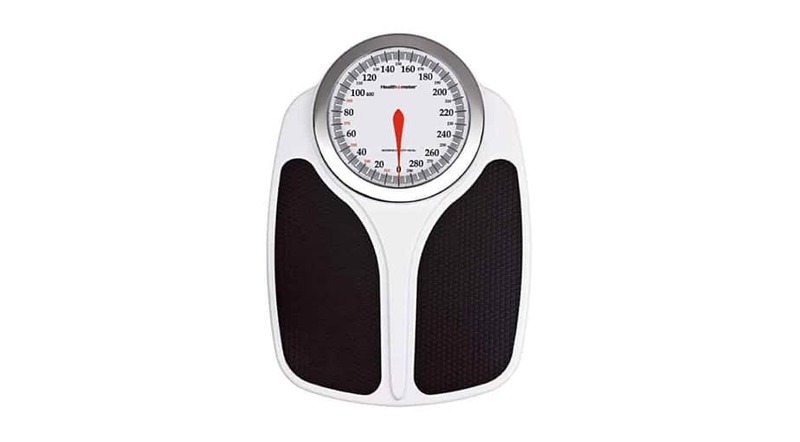 All the scales we’ve reviewed can measure your weight and display the result in pounds or kilograms. But for anything beyond this, you’ll have to buy a smart scale, or a particularly advanced digital scale. And for any special metrics that your scale can track, you’ll have to weigh in with bare feet. One of the most commonly tracked additional metrics is your BMI, or Body Mass Index. Though it paints a general picture of your overall health, it can be notoriously misleading. But it’s something that the majority of smart scales will be able to assess. Some of the more useful metrics include Body Fat Percentage, Muscle Mass, and Body Water Percentage. These 3 pieces of information are particularly helpful for those who are trying to shed fat and gain lean mass. And the water reading also helps to tell you whether you’re retaining water, or if you’re dehydrated. It would be unfair to compare a simple analog scale to a smart scale when the 2 are designed for different purposes. So we’ve looked at each category independently, choosing the best digital, smart, and analog scales. Whatever you prefer, there’s a scale out there to match your goals. Our top picks are based on hundreds of unbiased customer reviews, which we cross-referenced from numerous sources. We scoured consumer platforms like Amazon and authority websites on personal health and fitness to see how each product measured up in its category. Then we aggregated all this data into a single list to see which scales come out on top. Any water resistance qualities — because no one wants to short out their smart scale when they step out of the shower. With all this in mind, let’s get started with the first category on our list: the best smart bathroom scales. Fitbit has seen massive success with their array of wearable fitness trackers, which can synchronize directly to your smartphone. And that’s exactly what this scale can do — link your body metrics to your Fitbit account. It’s the perfect way to expand your personal fitness program, particularly if you already own the Fitbit wristband. And if your family is on board with the Fitbit brand, this scale can track up to 8 different users. It’s as simple as stepping onto the scale, which will automatically recognize which person is using it. 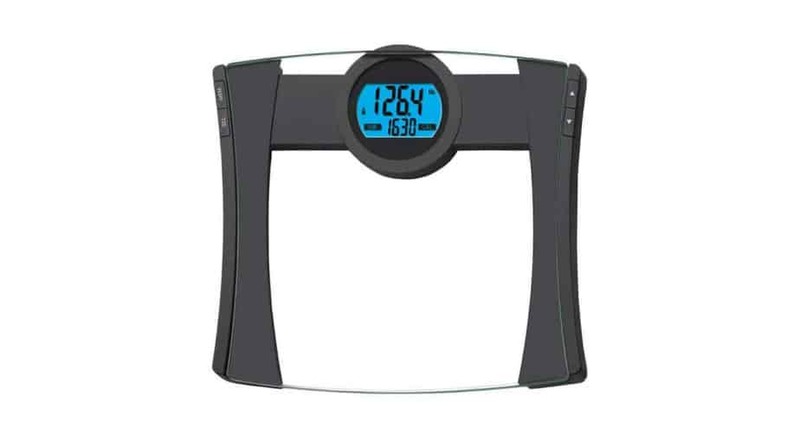 The scale tracks metrics like lean mass, BMI, and body fat percentage, with figures displayed on a single, tidy LCD screen. These scales are also water-resistant, making it safe to store them in the bathroom, even when the shower is running. That said, there are some small niggles, including the occasional need for a firmware update direct from Fitbit. And if you’re close in weight to another synchronized user, the scale can take a while to recognize you. 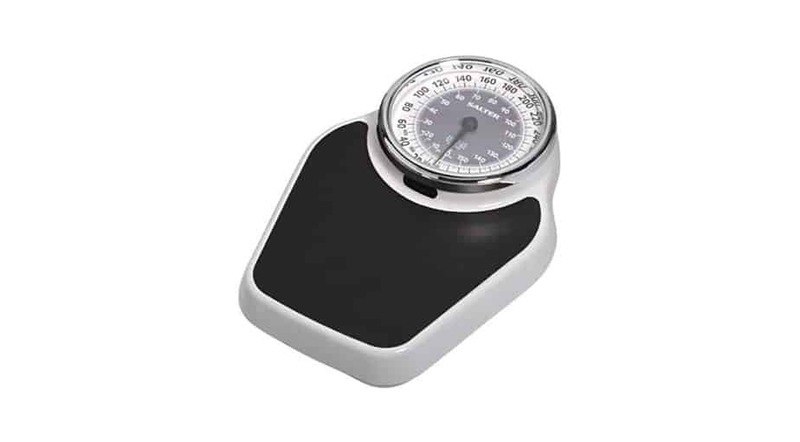 Many users tout the Body+ smart scales as being some of the most accurate in this category. In addition to tracking the key metrics you’d expect, they’ll synchronize with multiple apps. Not only can you use the custom-built application from Withings, but you can also sync with MyFitnessPal and other popular health apps. You can link to popular wearable smart technology, too. If you have an Apple Watch, Fitbit, iPod Touch, or similar device, you can link it with your Body+ scale. 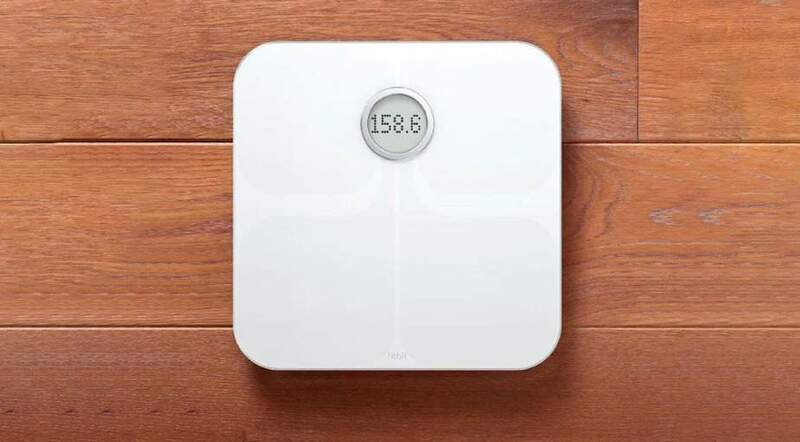 You’ll just need to have an active home Wi-Fi connection to get the scale set up and reporting data. The only problem with this scale is that we found ourselves asking whether they try to do too much. For example, the scale will provide you with a weather forecast when you step on in the morning. With a scale like this, you also have a smart assistant — leaving us to question whether there’s any need for the app in the first place. Like most smart scales, the Garmin Index links to a purpose-built application for tracking your fitness and health data. However, this one also comes linked to an extended online fitness community, Garmin Connect. Through this portal, you can track your daily exercise and workouts. Integration is especially easy if you have a Garmin watch. 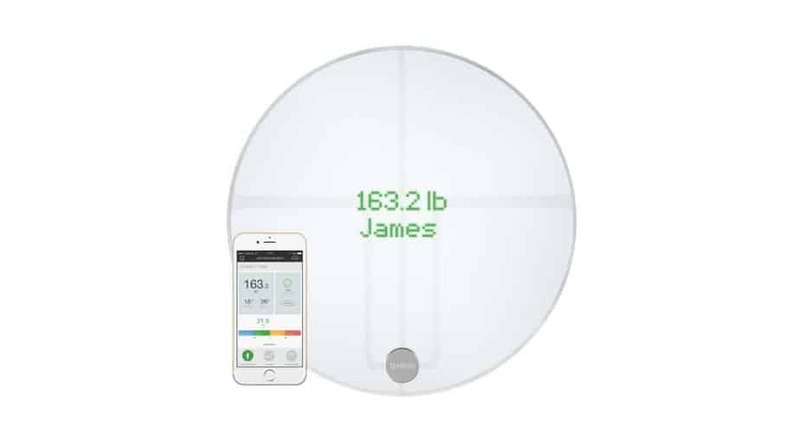 This scale offers support for the largest number of users we’ve seen — up to 16 members of a household. Each person can have their own app and Garmin Connect account to track personalized progress and goals. That said, the process of adding a new user can be cumbersome and annoying the first time around. For Garmin products, you’ll normally pay a premium, and these scales are no exception to that rule. But if you’re willing to shell out some serious cash, there’s a lot of functionality and integration to be had. Just don’t expect to cheat your weigh-ins, as you’ll only get one shot per day with this scale. The QardioBase 2 likes to be different, in that it’s shaped more like a robotic vacuum than a smart scale. 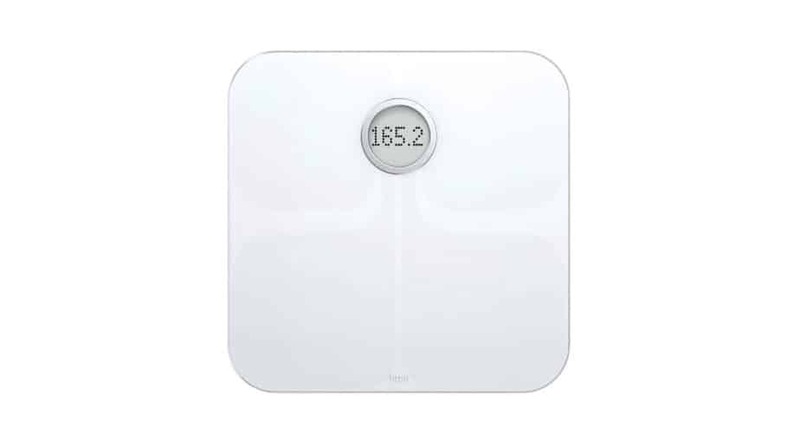 But beyond its somewhat misleading appearance, it has all the bells and whistles of a smart scale. With its own custom app, you can track a range of metrics on your smartphone. It’s the scale that speaks the language of millennials, with emojis that reward your progress instead of the usual numbers. The scale also boasts a baby-friendly pregnancy mode that can track progress through each trimester. And the scale will recognize you if you’ve weighed in before — auto-recognition is built right in. We appreciate that the emoji system won’t be for everyone — some people will just want a scale that tells you the facts. And though the rechargeable batteries make the product feel premium, charging can be inconvenient if they die at the wrong time. We also felt that the round design made the scale feel smaller when stepping onto it. Because of these issues, the QardioBase 2 falls to fourth place. With a roomy 12” x 12” surface area, there will be no teetering on the edge of this scale during weigh-ins. Built with 4 high-precision sensors, users generally report very accurate readings, provided the scale is used on appropriate surfaces. While they may not be the most attractive scales that we’ve ranked, we have no complaints over form or function. Though it’s digital, not smart, this Etekcity scale comes with some bonus functions that make it feel premium. It will auto-calibrate, shut down automatically after a short period of inactivity, and alert you if it’s overloaded. It’ll also signal when it’s time to switch out the batteries so you don’t get inaccurate readings. As far as negatives go, we can find only 2 faults worth mentioning with these digital scales. Firstly, every speck of dust or droplet of water will cling to them for dear life, so they’ll need a regular clean. Secondly, if you’ve lost half a pound, it’s likely that the scale will simply show your previous weight. None of these are major concerns, though, which is why the Etekcity Digital Scale lands at the top of the Best Digital Bathroom Scales category. For bare-bones functionality in a digital design, this is one scale that comes in a very attractive, highly affordable package. This digital scale won’t recommend the amount of calories that you should eat, but when it’s this cheap, we’re not going to complain. The unit is crafted from hardened glass, with a backlit LCD screen and little else to interrupt the design. A large surface area with no buttons to distract from the screen make for a comfortable pose while you’re being weighed. And you won’t struggle to read your measurements thanks to the large size of the digits on the screen. A few minor complaints: We would appreciate a slightly longer grace period to catch our reading before the LCD clears. Plus, some users find that measurements can fluctuate with minute movements or across different floors. And though it seems insignificant, bear in mind that you won’t appreciate stepping onto the tempered glass when the mercury drops! Often, scales can lose their accuracy over time, with calibration becoming required more and more frequently. Thankfully, even if the EatSmart Precision starts to lose its touch (which it likely won’t), the product comes with a 2-year warranty. And, since it’s crafted from high-density plastic with tempered glass, you’d have to work pretty hard to break it. Many scales have weight limitations that stop somewhere in the mid-to-high 300 lbs range, but these scales do better. They’ll support users up to a maximum weight of around 440 lbs, while storing and tracking 4 users. And they’ll even recommend your average daily caloric intake required for you to maintain your current weight. Onto the negatives: The scale is easily calibrated, but if you move it around, you’re going to be calibrating it frequently. And this model tends to chew through batteries more quickly than many other digital models on the market. Additionally, the display can take some time to clear when you step off. If you prefer simplicity and the lack of a need for batteries, analog is the way to go. Hands down, our winner for the Best Analog Bathroom Scale is the Health o Meter Analog. The large dial on this scale is much easier to read than other models on the market. However, that oversized dial also adds considerable size and weight to the scale, which is already bigger than most digital or smart models. When weighing in, you’ll stand on soft mats that help to prevent slips. It does make for slightly more difficult cleaning, but it’s a small price to pay for improved safety on wet floors. And without any electronic parts, you won’t have to worry about small drips and splashes from showers. Aside from the weight of the product, which we’ve touched on above, there’s not much else negative we can say. Like most analog scales, this one will require more frequent calibration than a digital model. But calibration is quick and easy to do yourself, and perhaps best of all, you won’t have to concern yourself with setting up an app or monitoring complex metrics. If asked to name a well-known scale brand, many people would likely name Salter. As one of the biggest worldwide analog brands, they’ve easily secured a top spot with this entry to the market. It’s clear to see why they’re a respected brand — these scales are crafted from tough, powder-coated steel with a tried-and-true design. Thanks to the non-electrical, durable build quality, they’ll easily survive storage in a humid bathroom. And you won’t be at risk of slipping on the soft, padded base. The product is backed by a warranty that lasts a whopping 5 years — much longer than most warranties on the market. Like other mechanical scales, this model from Salter is huge. You won’t be slipping it under a cabinet. And yet, you might wish that you could, as it’s also a bit surgical in appearance. That said, if functionality is key, then looks shouldn’t matter too much — and there’s little else to complain about. This scale combines a digital LCD screen with an analog needle. 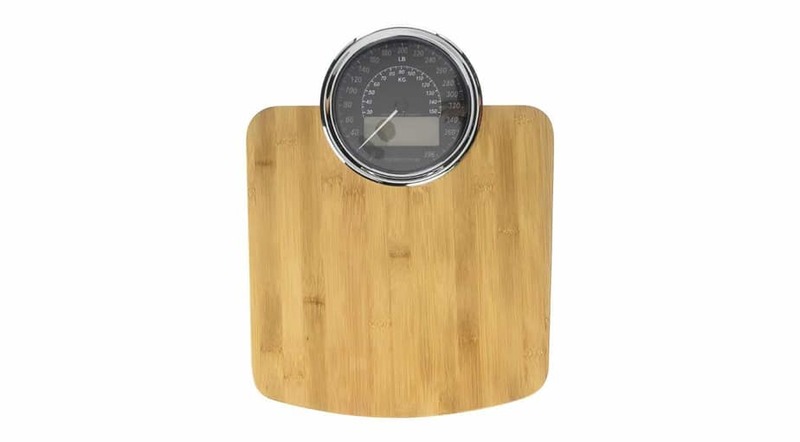 The contoured bamboo design creates the illusion of a non-digital analog scale, and the natural wood look will complement almost any bathroom. 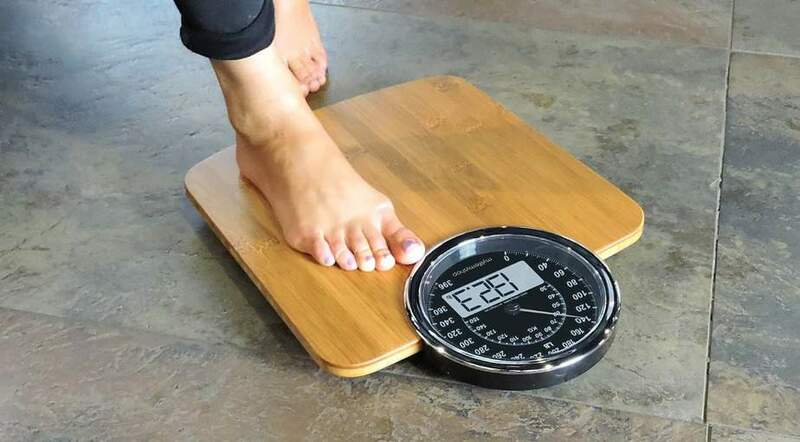 The scale doesn’t use tempered glass in its design, but that hasn’t affected the product’s durability, with a weight limit of nearly 400 lbs. The only real drawback of a non-glass design is that dirt is more difficult to spot on the natural bamboo, so it’s harder to keep really clean. In terms of other drawbacks, having separate analog and digital readings means you may see minor variations that could be annoying. Also, we found it disappointing that the needle doesn’t work without power, but it’s a minor niggle. We feel a little cheeky including this scale in our lineup of the 3 best analog bathroom scales. It’s essentially a mashup of both analog and digital combined into one unit. But given the bamboo design and functional needle, we’re including it as a strong contender for somebody who wants the retro look. Do digital scales use batteries? A bathroom scale with a power cord would be impractical, and in many cases, unsafe. Typically, your digital or smart scale will be powered by disposable batteries that are easily removed and replaced. And they’re likely to last a long time, as you’re using the product so briefly. In some cases, such as with the QardioBase 2, manufacturers opt to use rechargeable batteries. Though they may be charged in a separate dock, in this case the scale connects through a micro USB cable to charge. However, we find rechargeable batteries to be inconvenient as you’ll normally store your scale in the bathroom, away from convenient outlets. Are digital scales affected by temperature? It’s a misconception that temperature can produce an inaccurate reading on digital bathroom scales. A high-quality scale should not be affected by high or low temperatures (though you should of course avoid extremes like you would with any electronics). What could affect your readings is if you move the scales before stepping onto them. When you initialize a scale, it calculates the correct “zero” reading to ensure that subsequent readings are accurate. So if you move the scale and don’t calibrate it afterwards, you’ll probably see fluctuations in weight. Once you’ve positioned the scale, you should follow the instructions for that model’s calibration process — that’s usually simply switching it on and off. If you’re concerned about inaccurate readings, don’t use your bathroom scale on carpeted floor. Other soft flooring like vinyl and linoleum can also produce inaccuracies, depending on the amount of cushion. High-precision sensors in many digital scales can be affected by anything other than a hard, flat surface. Are analog bathroom scales accurate? Analog scales use a simple needle and dial to display your weight, while a digital scale uses an LCD screen. Both methods of weighing yourself can be extremely accurate, though they process information differently. However, there can be differences in their consistency when used for a long period of time. There’s a reason that digital scales are the choice of most science labs and many budding chefs. They tend to provide highly accurate readings where precise calculations are important for medications, recipes, and so on. However, not all digital scales have a means of calibration. When your scale is fresh from its packaging, your results are likely to be very accurate. But when calibration slips over time, only the pricier or high-end digital models tend to provide a way to recalibrate. But in almost every case, you’ll find that your basic analog scale has a simple dial for calibration. As far as precision goes, digital scales can often have the upper hand. A digital LCD screen can provide you a clear-cut reading to 2 decimal places. It’s far more difficult to judge a reading that’s between whole numbers on an analog scale, without fidgeting and affecting the result. When you’re buying a smart scale, think about how you want to interact with it. Some will sync your metrics directly into a connected smartphone app while displaying them on an LCD screen simultaneously. Others will only transmit data to your application, doing away with anything other than a simple weight measurement on-screen. Smart scales track a range of metrics, including Body Fat Percentage, Body Water Percentage, BMI, Muscle Mass, and Visceral Fat. Most of these measurements are calculated by passing a small current of electricity through your body. The scales then calculate these percentages based on how long it took for the current to pass through tissues. If your smartphone is never far from your side, then these are probably the ideal scales for you. Similarly, if you’re on a journey of self-improvement, the additional metrics can help fine-tune your workout and diet. If those measurements aren’t useful to you, you’re likely better off with a more straightforward scale. 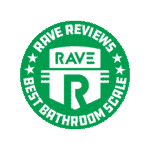 What are the best bathroom scales? The answer to this question really depends largely on your personal preferences when it comes to health and fitness-related gadgets. As such, we’ve got 3 recommendations, one for each different type of bathroom scale — analog, digital, and smart. 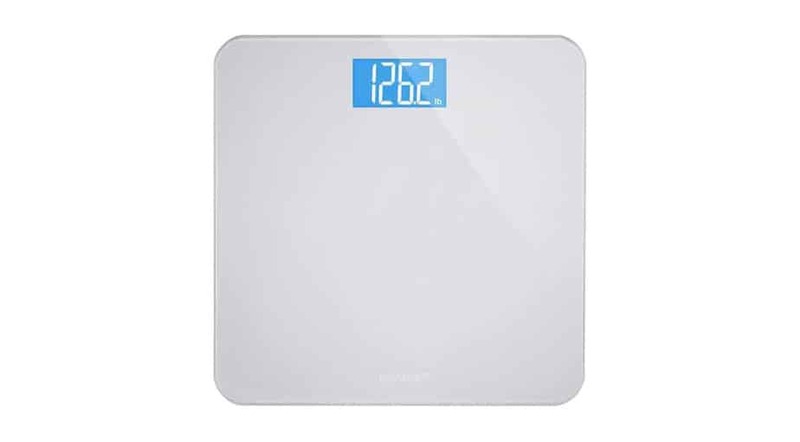 Between them, you’ve got the pick of the best bathroom scales currently available for tracking your weight, or more. For lovers of smart integration, it doesn’t get much better than the Fitbit Aria 2. It’ll pair with your existing Fitbit account and work with your wearable smart fitness tracker from the same company. And if you don’t have one of these trackers already, here’s a good excuse to pick one up — check out our related recommendations below. If you’re not fussed about tracking every metric under the sun, but want digital functionality, then choose a digital scale. 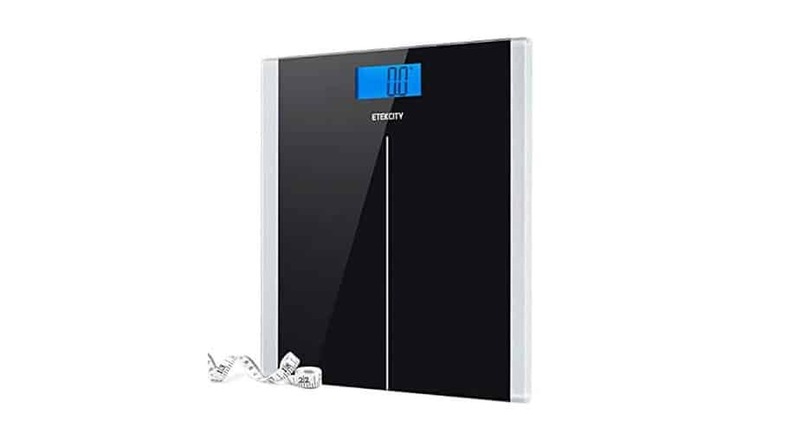 Our best digital bathroom scale is the Etekcity Digital Body Weight Bathroom Scale. Sometimes simplicity is key, which is what this high-quality digital scale delivers. And finally, we’ve got the best analog bathroom scale, which is the Health o Meter Analog Oversized Dial Bathroom Scale. 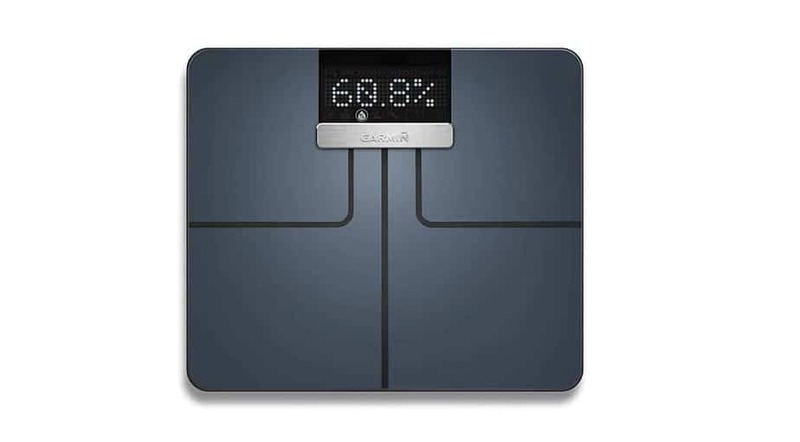 Other than tracking your weight, this scale don’t offer anything else in the way of functionality. But for many people, that’s enough — and the Health o Meter focuses on improving the areas where other analog scales fall flat, providing large, easy-to-read measurements. Fitbit Alta HR: Perfect for adopters of the Fitbit Aria 2 smart scale. This wearable fitness tracker will share the same account as your scale, keeping all your metrics in one place. Fitlosophy Fitbook: Fitness Journal and Planner: Track and record your gains using this gym logbook. Tension Band Set for Weights Exercise: If you can’t make it to the gym, continue your strength training at home. Resistance bands can be used for dozens of exercises, without the need for specialized equipment. TRIBE Water Resistant Cell Phone Armband Case: Workouts become so much easier with a good playlist, but the gym’s equipment is a risk to your delicate smartphone. Keep it safe and secure in this water-resistant armband case. Ventilated Weight Lifting Gloves with Built-In Wrist Wraps: Any serious weightlifters should protect their hands from calluses, while supporting their wrists. Well, these gloves will do both.